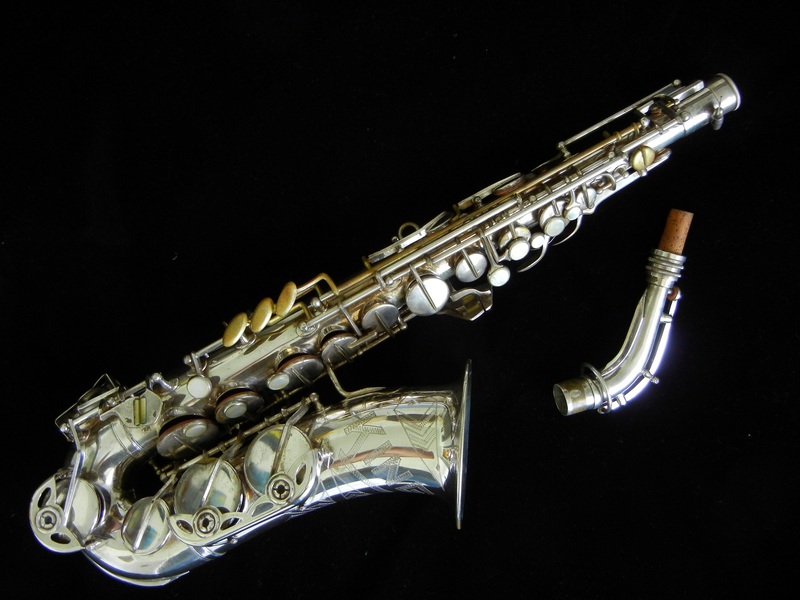 If you are looking for a very interesting and rare piece of saxophonic history and a barn-burner professional alto at a bargain-basement price, you’ve found it. 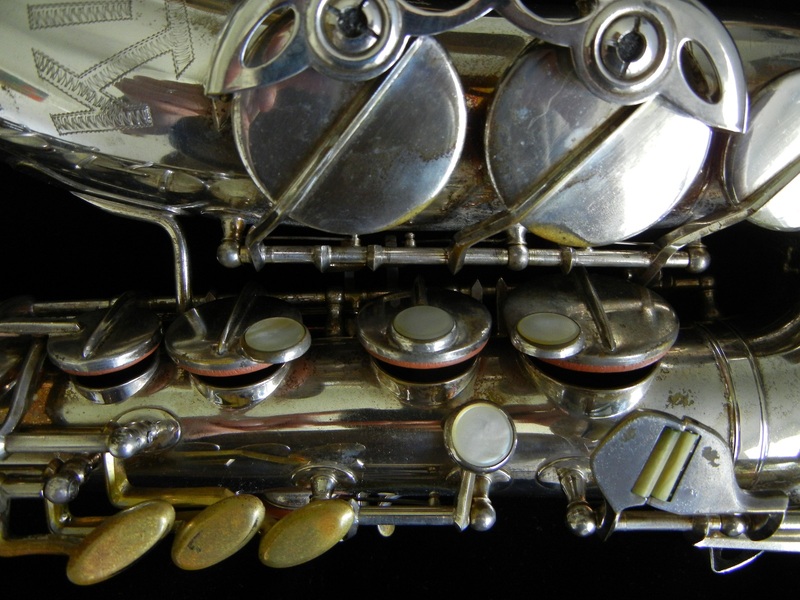 This is my 1939 Keilwerth New King series I alto saxophone. 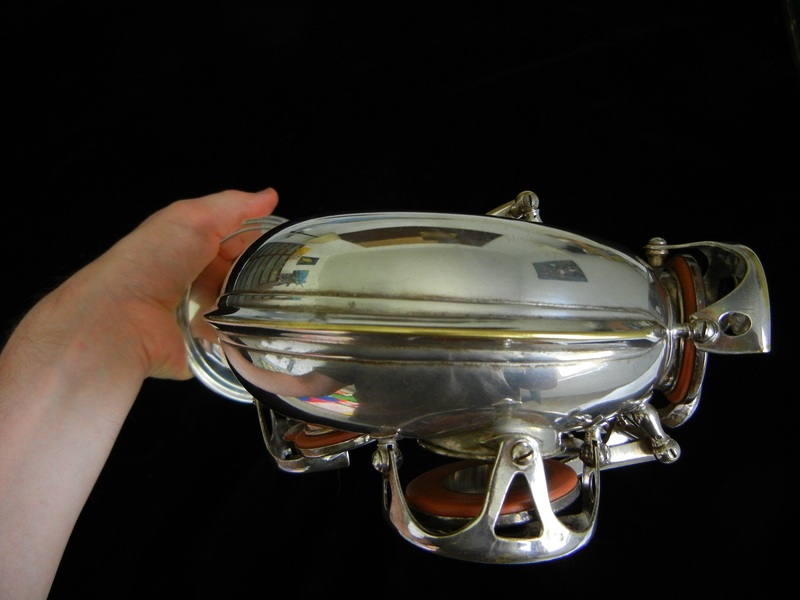 This one is silver plate, is in excellent physical condition, and is engraved “King” on the bell and “Modell 3” under the serial. This was my horn for about 6 years- one of the longest times I’ve played a single horn- and I’m finally ready to try something new. As you would expect from something I used as my main horn, this horn is in excellent condition and has been meticulously kept. The pads with flat metal resonators are a few years old, but if I didn’t tell you that you would probably think they were brand new. This horn is ready to go for 5-10 more years without any work. 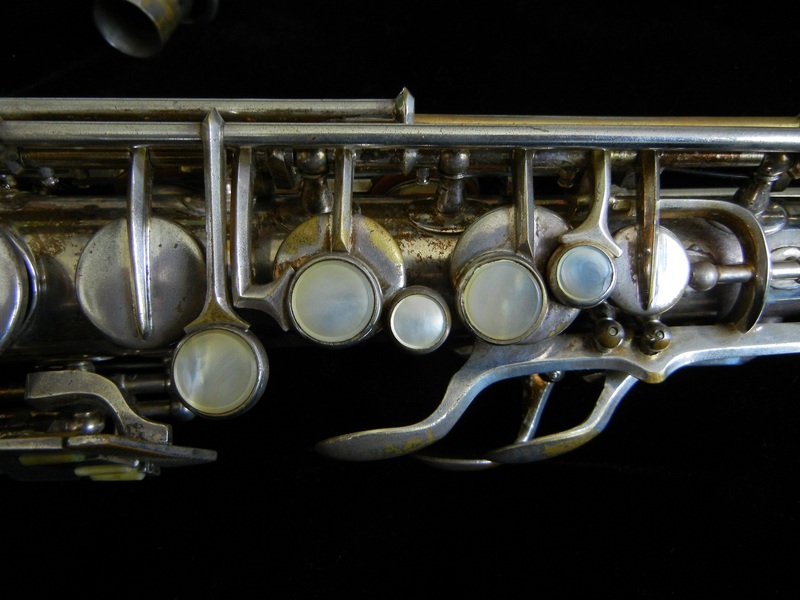 These early Keilwerths are interesting saxophones- I usually describe them as having keywork halfway between a Selmer Balanced Action and a Conn 6M, with a sound that is all their own. To hear one of these horns in action, give a listen to Logan Richardson (you’d be doing yourself a favor to get to know this guy’s music anyways- he is one of the burningest alto players out there). Logan plays on what was my first New King series I horn. He played it and loved it, so I sold it to him and got another. These horns have a very interesting history- usually when I tell folks I play a Keilwerth from the 30s, they didn’t know Keilwerth had been around that long! To learn more, check out the Saxpics writeup here. This horn features rolled tone holes and a microtuner neck. Not all Series I Keilwerths came with every bell and whistle, and this one originally did not have the beveled and angled side keys or a front F, but I added them from another Series I whose body was damaged beyond repair- so while those particular keys are not original to this particular horn, they are correct and original to the model. The beveled and angled side keys in particular are the most comfortable side keys you will find anywhere, and it is a shame that nobody ever caught on because they are far superior to traditional side keys. The microtuner works very well to give you more intonational options, and once you have one that is in perfect working order like this one its hard to go back to just pushing or pulling the mouthpiece to tune! 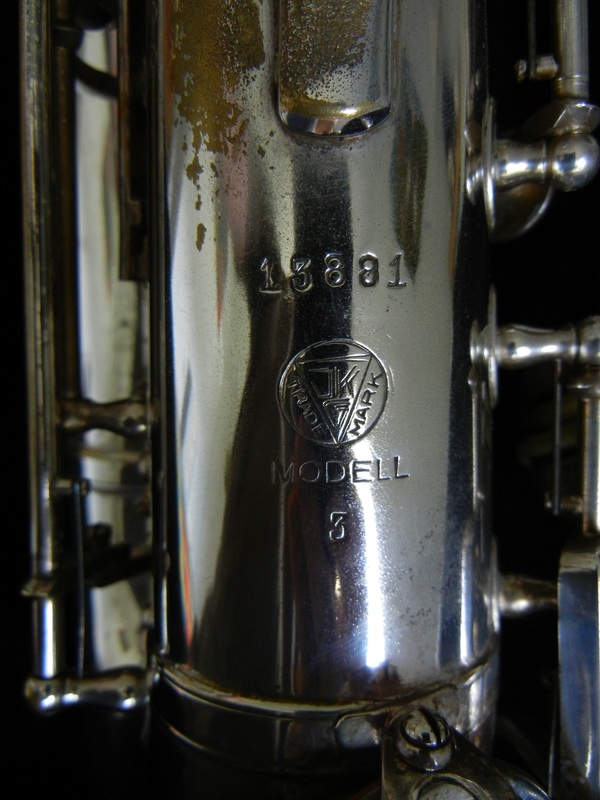 Intonation on this horn is not great, but manageable- very similar to a Conn “Chu” New Wonder series II. 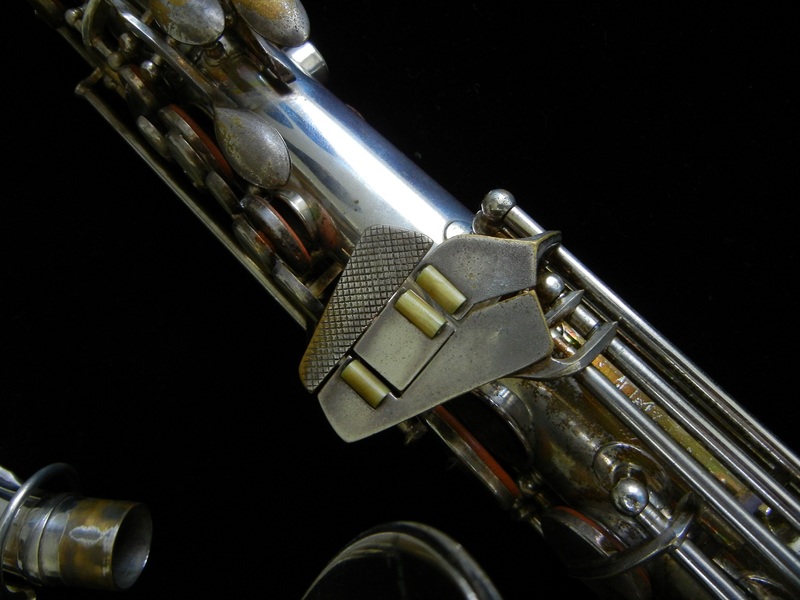 The tendency on this particular horn is for the octaves to be too close- sharp bell keys and flat palm keys, but with a stubby mouthpiece with a large chamber, the intonational difficulties are greatly reduced. In fact, I used this horn in a classical setting and got compliments on my excellent intonation, so it really isn’t too bad- just don’t expect it to be a Yamaha. The ergonomics are surprisingly comfortable- the palm keys and upper and lower stacks feel much like a Selmer Balanced Action, while the C/Eb and left hand pinky table feel like a Conn 6M. The horn has been set up light and fast, with an extremely slick action. 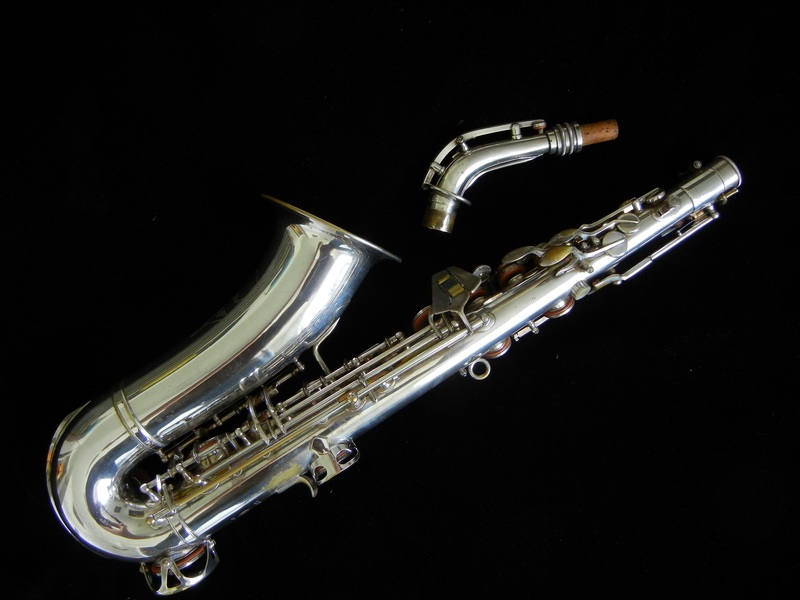 This is a great horn that I really loved owning and will miss when its gone(can you tell? ), and whoever ends up with it is going to love its rich and powerful sound, its uniqueness- and the curious looks from the other guys on the bandstand!